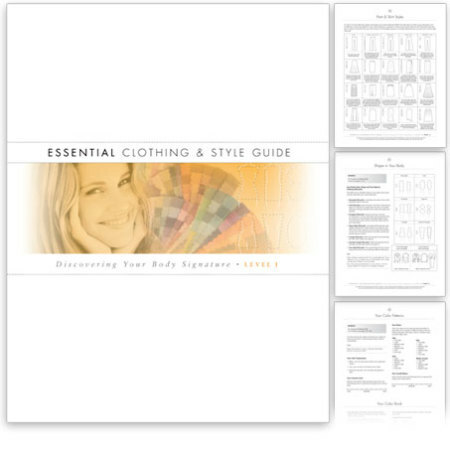 Combining ground-breaking discoveries from author and instructor Carla Mathis’ book, The Triumph of Individual Style, with a case-study approach tailored to strengthen your intuitive design instincts, you will be given the tools you need to lead your clients through a series of life changing consultations. Using the Body Signature System as the foundation you will learn the techniques Carla has used and perfected over 40 years, working with clients from every continent and cultural background. Categories: Distance Learning, Training & Events. Tags: Color, Color Analysis, Color Design, Custom Palette, Distance Learning, Image Consulting, image consulting tools, Personal Stylist Training. The Level I Color Course (4 CEU’s) , contains exercises and assignments for you to complete and send in. Click here to learn more about, or to enroll in the Style I Segment. Click here to learn more about, or to enroll in the complete course (Color and Style). Pay less for this segment when you purchase the whole course at once. NOTE: Participants can earn 4 AICI CEU’s for completing this course, as long as the following requirements are met within 1 year of the start date; All assignments are completed/submitted/passed, an evaluation form is submitted at the end of the course rating learning outcomes. Your instructor will review each assignment you send and email back with approval, revisions needed, and any comments for up to 1 year from your start date. 40 hrs is the average time to complete Color I, but it varies for each student. While you are free to take as long as you like to work through the course, you have 1 year to complete it if you wish to receive AICI CEU’s and instructor feedback on assignments. Please note that this course is a training approved by the Association of Image Consultants International (AICI). Certification, earned through the trainer upon completion of this course, is entirely independent from AICI’s professional certification programs.